You know when someone gets a bee in their bonnet about something and "takes to" Twitter to launch a multi-tweet rant about a small change to the Creme Egg recipe or an imaginary slight they suffered at the hands of a McDonalds employee? That's what people on Twitter and "the media" have been unofficially calling a Tweetstorm - and now Twitter has paid $975 to trademark the term. It's not the first time Twitter has taken ownership of something created by mere mortals like you and us - @ replies, hashtags and retweets were all the invention of the Twitter community rather than handed down from on high. 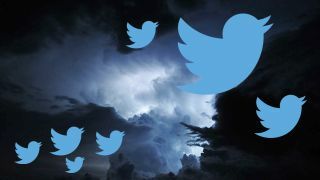 Trademarking the word "Tweetstorm" somehow makes the practice more official - as though going off on a huge, boring tirade that you have to scroll backwards through to work out what it's even about is an acceptable use of Twitter, instead of simply a great reason to unfollow someone.